Some people think it doesn't matter where they buy their insurance. This misconception could be costing you money, service, and protection. Buying insurance is not like buying bread or milk, it's an important safety net for your family, your home, your car or your business. Don't treat the purchase lightly! Captive Agents - Sell consumers the insurance of only one company. Telephone Representatives - Offer consumers the insurance of one company and only via the telephone. Internet Sites - Consumers can fill out an application online and get an insurance quote without any help or direction from a qualified professional. Independent Insurance Agents - Represent an average of eight insurance companies and research with these firms to find consumers the best combination of price, coverage, and service. HUNT Insurance provides a licensed professional with strong customer and community ties. We strive to provide excellent service and competitive prices because we can access the insurance coverage from more than one company. Our agents are your insurance consultants and assist you when you have insurance claims. HUNT Insurance offers one-stop shopping for a full range of products - home, renters, auto, boat & RV, and more. To learn more, visit us online: https://www.huntrealestate.com/insurance-services/. 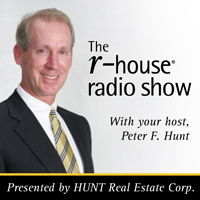 For over 100 years, the HUNT name has been synonymous with real estate expertise. We're more than real estate agents. We're real estate professionals. Our goal is to provide you an easier and more satisfying homeownership experience. But did you know that you can buy, sell, finance, and insure your home all under one roof? HUNT offers everything you need for your home buying transaction from start to finish through our residential real estate division and our core businesses -- HUNT Mortgage, HUNT Insurance, and Network Title -- we can assist you with your home buying experience from start to finish. HUNT Mortgage processes, underwrites, and prepares all loans for closing in-house. Our team of mortgage professionals will expertly guide you through the entire process, ensuring a quick, easy and simplified transaction. Offering competitive rates for homeowners, auto, excess (umbrella) liability and other types of insurance, HUNT Insurance is a full-service independent insurance agency staffed by licensed insurance agents. 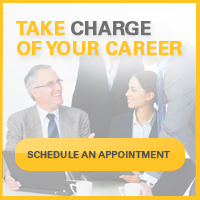 Network Title Agency of New York is a full-service abstract and title insurance company. Our title specialists are dedicated to their clients and will make sure you receive precise and timely support with any real estate transaction. Interested in learning more about the home buying process with HUNT? Reach out to one of our knowledgeable real estate sales professionals to find out more. Syracuse, NY is known for lots of snow and Syracuse Basketball. But there’s more to this city than just weather and the university. The US News listed Syracuse in the top 50 on their list of best places to live, and number 20 on their list for Quality of Life, a list which took into consideration “affordability, career opportunities... daily commute, access to quality education and healthcare, crime rates, and general well-being.” There are many reasons we love our city and why #WeLiveHere. Here are a few of our favorite neighborhoods in the City of Syracuse. Typically referred to as “Tipp Hill” by locals, this area was originally settled by Irish immigrants. From the Irish pubs, like Coleman’s and Blarney Stone, to the nation’s only upside-down traffic light (with green on the top), this area is well-known for its Irish flair. In recent years, the Tipp Hill Neighborhood Association received a grant from the Syracuse Neighborhood Initiative to aid in the beautification of the neighborhood. There are also many neighborhood events, like the Tipp Hill Shamrock Run and the Tipp Hill Music Festival. Near shops, bars, parks, the Rosamond Gifford Zoo, and Destiny USA (the area’s largest shopping and entertainment complex,) this neighborhood is a great choice. The Westcott neighborhood is known for its collection of creative and unique residents. With its proximity to Syracuse University, residents range from SU students to Professors, artists, and everyone in between. The Westcott Neighborhood offers what their association calls, “a vibrant eastside neighborhood rich in history, culture, food, and entertainment.” Some of the best cafes and restaurants in Syracuse can be found in this neighborhood, like Recess Coffee & Roastery and Alto Cinco. Great shops are also nearby, like the vintage store Boom Babies, along with a popular concert venue, the historic Westcott Theatre. If you’re looking for a neighborhood with creative vibes, Westcott is the place for you. If you’re looking for condo or apartment living, Franklin Square has you covered. Previously an industrial park, Franklin Square was renovated to become a beautiful modern neighborhood near all the nightlife, bars, and restaurants of downtown Syracuse. MSN even listed it as a choice neighborhood on its list of top 10 Hip Hangouts. Franklin Square attracts businesses and professionals looking to be near all the action: its just steps from Hanover Square and Armory Square, both popular nightlife hotspots, and Clinton Square, a popular location for festivals and events. The Onondaga Creek Walk also runs through the neighborhood, a path which connects Downtown Syracuse to Onondaga Lake Park. No matter where you end up in Syracuse, you’re sure to love the hometown pride that runs deep. Are you moving to the City of Syracuse? Reach out to one of our knowledgeable real estate experts and find out why we love that #WeLiveHere! Rochester, NY is a city loved by its residents, but can sometimes fly under the radar to those outside of the area. The US News listed Rochester #13 on their list of best places to live for Quality of Life in 2018, a list which took into consideration “affordability, career opportunities...daily commute, access to quality education and healthcare, crime rates, and general well-being.” There are many reasons we love our city and why #WeLiveHere. The Park Avenue Neighborhood in Rochester is known for its pedestrian-friendly streets. Popular with young professionals, this neighborhood offers easy access to many of Rochester’s hotspots like East Avenue. Shops and cafes are plentiful in this neighborhood, with an abundance of outdoor seating, tree-lined streets, and cozy front porches. You are also just steps from popular Rochester landmarks like the George Eastman House, Memorial Art Gallery, and the Rochester Museum and Science Center. This neighborhood’s motto is, “Urban by Choice” and is one of the city’s largest neighborhoods. An area that prides itself on the diversity of its residents, this up-and-coming neighborhood is primarily residential. But don’t fear: this neighborhood hosts the summer Westside Farmers Market, as well as a few local shops and cafes. The Brooks Landing Project connected the 19th Ward to the University of Rochester River Campus and Medical Center Campus. The pedestrian bridge arches over the Genesee River in the neighborhood’s southeastern corner. Known as NOTA for short, this neighborhood offers turn-of-the-century single-family homes near restaurants, cafes and coffee shops, bakeries, art studios, and galleries. It’s known as a community of creative residents. In 2002, the Outdoor Artwalk was created, a project which widened sidewalks and showcased local public art. NOTA also has noteworthy architecture, including a home designed by Frank Lloyd Wright: The E.E. Boynton House. Other points of interest in the neighborhood include the George Eastman Museum, The Village Gate (a trendy area with loft apartments, cafes, restaurants, shops and more) and the historic Dryden Theatre. No matter where you end up in Rochester, you’re sure to love the energy of this city. Are you moving to the City of Rochester? Reach out to one of our knowledgeable real estate experts and find out why we love that #WeLiveHere! Less competition. There’s a lot of competition out there in the real estate market. It can sometimes be difficult for buyers to get their offers accepted. While there are still active buyers off-season, you will certainly face less competition when placing an offer in on a home. Not just left-overs. There is a common misconception that all homes on the market off-season are the leftovers that couldn’t be sold. The truth is many beautiful homes go on the market off-season because the timing worked best for the sellers. This could be for different reasons: a new job, relocating out of state, or a new home construction is completed. It can save you money. If you’re interested in adding a few final touches to your home, waiting until fall to buy could be beneficial. You end up snagging an end-of-season discount on everything from air conditioning units to appliances and furnishings. Fall exposes exteriors. It can be easy to overlook flaws or issues with a home’s exterior because of well-executed seasonal landscaping. But once fall comes around, flowers are no longer in bloom and you can get a better look at landscaping beds and the home’s foundation. Buying a home in the off-season can work to your advantage. If you’re looking to buy your home this fall or winter, reach out to one of our experienced sales professionals to see how you can get started. While those of us who live in the area have always known the treasures that Buffalo has to offer, it’s true that in recent years, the city has had even more to boast about. In addition to being one of the more affordable mid-sized cities – Buffalo was listed as number 2 on Livability.com’s list of Best Affordable places to live, citing the affordable transportation, healthcare, and housing – there is also increasingly more to do, see, and experience these days in the Queen City. From the vast number of restaurants to the variety of entertainment options, to, yes, even our pro sports teams (Buffalo fans are nothing if not loyal! ), there are many reasons why love our city, and why #WeLiveHere. The American Planning Association named the Elmwood Village as one of the country’s 10 best neighborhoods, and it’s easy to see why. Being centrally located in Buffalo, the Village is an ideal spot for anyone looking for a home near world class shops, restaurants, bars and attractions such as the Albright-Knox Art Gallery and the Burchfield Penney Art Center. There is always something to do in the area, whether it is grabbing some fresh produce at the farmer’s market on Saturday morning, stopping at the locally owned and operated Lexington Co-Op, or seeing a summer concert in Bidwell Park. Allentown is where artistic and creative communities thrive in Buffalo. There is a plethora of street art and galleries, artisan markets and art festivals, such as the annual Allentown Art Festival and Allentown Porchfest. Allentown also offers a good dose of history, with beautiful historic buildings like the Mansion on Delaware, a boutique luxury hotel, and the Theodore Roosevelt Inaugural National Historic Site. The creative influence of our residents is apparent as you walk through Allentown and experience the “wall-size murals [that] flank the district’s many live music bars, neighborhood galleries, restaurants and shops.” This unique neighborhood is an inclusive, creative haven for young professionals, families or anyone who is looking to live in a part of the city where there are always events happening. Hertel is known as the “heart and soul of North Buffalo”, and while the neighborhood has been increasing in popularity over the past few years, there is a lot of history in the area that makes its renaissance even more special to witness. This neighborhood is for those looking to embrace all that food that Buffalo has to offer, from popular restaurants like Lloyd’s Taco Factory, Mes Que, or Mac’s, to hip coffee spots like Daily Planet Coffee. Don’t forget to stop by an Italian bakery or Italian restaurant such as Lombardo’s – there’s a reason the area is known as the “Little Italy” of Buffalo. Chic boutiques and bars are also all around for a night on the town. In case you want to catch a matinee, make sure to visit the North Park Theatre. The marquee on the neighborhood’s 1920’s era theatre, restored in 2014, is one of the most distinctive landmarks on Hertel. These are just a few of the amazing neighborhoods that Buffalo has to offer. Moving to Buffalo and need a guide to help decide where you should live? Reach out to one of our local agents today! When your family is considering a move to the Capital Region, one of your major consideration may be the school districts in the area. We’ve taken a look at the school district rankings from the Albany Business Review to give you some insight into two of the counties with the most school districts in the top 30. 1. Saratoga County. Saratoga County is located east of Utica. It has an estimated population of 230,000 people and a median home value of $238,600. Saratoga has two cities: Mechanicville and Saratoga Springs, and 19 towns. Saratoga County is a great area for anyone who loves the outdoors. It has easy access to the Adirondacks, with the Adirondack Northway running north past Lake George and to Adirondack Park, as well as the Saratoga and North Creek Railway which also connects you to Adirondack Park. Saratoga County has 7 schools found in the top 30 districts in the Capital Region: Shenendehowa Central (#5), Saratoga Springs City (#7), Burnt Hills-Ballston Lake Central (#9), Stillwater Central (#15), Schuylerville Central (#23), Waterford-Halfmoon Union Free (#25), and Ballston Spa Central (#29). 2. Albany County. Albany County is located in the eastern central portion of New York State. It has an estimated population of 310,000, with a median home value of $211,100. Albany County has three cities: Albany, Cohoes, and Watervliet, and 10 towns. Albany County is noted for its historic architecture, especially in the City of Albany, along with beautiful parks. There are also notable museums, including the Empire State Plaza, the Quackenbush House, Albany Center Gallery, and the New York State Museum. There are 6 schools the appear in the top 30 school districts in the Capital Region: Bethlehem Central (#2), North Colonie Central (#3), Voorheesville Central (#4), Guilderland Central (#6), South Colonie Central (#21), and Ravena-Coeymans-Selkirk Central (#27). Schenectady County, Rensselaer County, and Warren County have three schools each that appear on the top 30 school districts lists. So no matter where you go in the Capital Region, there are great schools! No matter where you end up in the Capital area, make sure you enlist the help of an experienced real estate sales professional. If you’re looking to buy a home reach out to a HUNT Real Estate Professional today! When your family is considering a move to the Syracuse area, one of your major consideration may be the school district. We’ve looked at the state school district rankings reported by NYup.com to give you insight into two counties with school districts that rank in the top 25 in Upstate NY. Onondaga County. Onondaga County is centrally located in New York State, south of Oswego County, West of Madison County, North of Cortland County, and east of Cayuga County. Onondaga County has an estimated population of 465,000 and a median home value of $137,000. While Syracuse is the only city, there are 19 towns. Onondaga County has plenty of outdoor space, with 4 lakes to visit: Oneida Lake, Onondaga Lake, Otisco Lake, and Skaneateles Lake. It is home to the New York State Fairgrounds, and is home to Destiny USA, a six-story shopping and entertainment complex. Onondaga County has 4 schools in the top 25: Westhill (#21), Skaneateles (#18), Jamesville-DeWitt (#8), and Fayetteville-Manlius (#1). Madison County. Madison County is located east of Onondaga County, North of Chenango County, and is bordered on the north by Oneida Lake and Oneida Creek. With an estimated population of 71,000, it is smaller than Onondaga. The median value of a home is $128,000. It has the City of Oneida, along with 15 towns. There is one school in the top 25 schools located in Madison County: Cazenovia (#9). No matter where you end up in Central New York, make sure you enlist the help of an experienced real estate sales professional. If you’re looking to buy a home, be sure to reach out to a HUNT real estate professional today! Erie County. Erie County is on the western border of New York State, south of Niagara county and north of Cattaraugus and Chautauqua Counties. Erie county encompasses 3 cities: Buffalo, Lackawanna, and Tonawanda, and 25 towns. Erie County has a population of 925,000 residents, and a median home value in Erie County is $134,600. With 15 of the top 30 schools in Western New York, it's an excellent choice for any family looking to move. The schools that made the list: Akron (#12), Alden (#19), Amherst (#7), Clarence (#3), East Aurora (#1), Eden (#20), Frontier (#17), Grand Island (#14), Hamburg (#10), Holland (#24), Iroquois (#6), Lancaster (#9), Orchard Park (#4), Springville-Griffith Institute (#29), Williamsville (#2). Niagara County: Niagara County is located north of Erie County, and bordered on three sides by water: Lake Ontario, Tonawanda Creek, and the Niagara River. It has an estimated population of 211,000. It encompasses 3 cities: Lockport, North Tonawanda, and Niagara Falls, and 12 towns. The median price of the homes listed on Zillow in Niagara County is $134,000. Niagara County has 10 total school districts, and has 5 in the top 30 schools in Western New York: Barker (#23), Lewiston-Porter (#8), Niagara-Wheatfield (#21), Starpoint (#5), and Wilson (#18). Chautauqua County: Chautauqua County is located west of Cattaraugus County, south of Erie County, and Lake Erie on the east. It has an estimated population of 129,000 people. It encompasses 2 cities, Dunkirk and Jamestown, and 27 towns. The median price of the homes in Chautauqua County listed on Zillow is $112,900. Chautauqua County has 4 of Western New York’s top 30 school districts: Bemus Point (#11), Clymer (#27), Fredonia (#13), and Sherman (#22). No matter where you end up in WNY, make sure you enlist the help of an experienced real estate sales professional. If you’re looking to buy a home, be sure to reach out to a HUNT real estate professional today! 1. Monroe County: Bordered to the north by Lake Ontario and surrounded by Wayne, Ontario, Livingston, Genesee, and Orleans Counties, Monroe County is the most populated county mentioned on our list. Monroe County has an estimated 747,000 residents, with a median home value of $140,200. It contains 1 city (Rochester), and 20 towns. Monroe County offers a ton of things to do. It has great parks, like Highland Park, where the annual Lilac Festival is held every year, and the Strong National Museum of Play, a 150,000 sq. ft. museum that showcases the best toys along with interactive exhibits. There’s also Frontier Field, which is home to the Rochester Red Wings, the Minor League Baseball Team affiliate of the Minnesota Twins. For more info, visit https://www.monroecounty.gov. Of Monroe’s 26 school districts, 13 appear on the top 30 list. The schools that made Business First’s list are: Pittsford (#1), Honeoye-Falls Lima (#2), Brighton (#3), Penfield (#4), Fairport (#6), West Irondequoit (#7), Webster (#8), Spencerport (#10), Rush-Henrietta (#12), Churchville-Chili (#14), Hilton (#17), Brockport (#22), East Rochester (#28). 2. Ontario County: Ontario County is located within the Finger Lakes Region of NY. It is south of Wayne County and west of Seneca County with an estimated population of 110,000. It contains 2 cities (Canandaigua and Geneva), and 16 towns. The median value of a home in Ontario is $148,400. Ontario County offers plenty to do, with vineyards like Arbor Hill Grapery, ski resorts like Bristol Mountain, and other great outdoor adventure spots that are great year-round. There are also a few different lakes to visit, including Canandaigua Lake and Honeoye Lake. For more info, visit https://www.co.ontario.ny.us. Of Ontario County’s 21 school districts, 6 appear in the top 30 school districts. The schools that appear on the list are Victor (#5), Canandaigua (#15), Bloomfield (#18), Honeoye (#21), Phelps-Clifton Springs (#27), and Manchester-Shortsville (#30). Livingston County has 4 school districts that appear on the list. Those schools are: Geneseo (#9), Caledonia-Mumford (#11), Avon (#13), and Livonia (#19). Wayne County also has 4 schools in the top 30: Wayne (#16), Gananda (#20), Williamson (#24), and Marion (#25). Steuben County has 2 schools in the top 30: Arkport (#29) and Prattsburg (#23). No matter where you end up in Rochester, make sure you enlist the help of an experienced real estate sales professional to help guide you through the process! It goes without saying that the real estate market is competitive - sometimes it seems like properties are sold almost as soon as they are listed! This is due in large part to low inventories of homes across the country. One of the ways these low inventories can affect the home buying process is that it leads to many buyers finding themselves in a multiple offer scenario. 1. Work with a real estate professional. Working with an agent is your best course of action! Your agent will be aware of current market conditions, take into consideration other factors that may affect the sale, and most importantly, they will help you place the strongest offer possible. 2. Offer more money. Money talks - especially in real estate. Talk with your agent about adding an escalation clause to your offer. This clause raises your offer a certain amount when you’re in a multiple offer situation. You can also consider increasing the amount of money you are placing in the escrow account to show you’re serious. A word of caution, though: you want to keep your offer inside your comfort zone. Don’t get caught up in a bidding war where you end up spending more money than you can afford, or worse, offering too much money and having to come up with the difference from the appraisal. 3. Limit Contingencies. The fewer the contingencies, the easier it will be for the deal to close. Make sure your offer is as ‘clean’ as possible and list contingencies that you deem absolutely necessary. While it can be almost impossible to have a contingency-free offer if you are financing a portion of your home with a mortgage, you can still limit the number. 4. Know what the sellers need. While money is important, there may be outside circumstances that are also important to the seller. Are they moving because they accepted a new job in a different state? They may want a quick closing so they can move on. Your agent can reach out to the seller’s agent to find out if there is a preferred timeline and you can include this in your offer. 5. Shorten due diligence period. Did your agent find out your seller wants to move quickly? Shortening your due diligence period, which is when you would do you appraisal, home inspection, and survey, may make your offer more appealing. 6. Take a backup position. If you really love the house, and your offer still isn’t accepted, consider taking a backup position. A backup position allows you to be first in line if for some reason the accepted offer falls through. 7. Stay positive. It can be incredibly frustrating to lose out on a home due to a multiple offer situation, but be sure to keep spirits up! Your agent is there to help guide you through the competitive market and present the strongest offer possible. There are plenty of homes coming on the market every day! With a little bit of time and patience, and with the invaluable help of your real estate professional, your diligence will pay off and you will find the right home for you. 1. Gather your documents ahead of time. Almost every agent can agree that getting preapproved before searching for your house is crucial. Preapprovals allow you to see how much you qualify for, and can give you an idea of what homes are in your price range so you can start looking. To be pre-approved for your mortgage, you'll need to gather all of the necessary documents: your W-2 form, 2 years of tax records, paystubs, current loan and credit card statements, and the names and addresses of your landlords from the past two years. 2. Find out how much you can afford. Many first time home buyers forget to factor in the total monthly cost of their future home, which can be a major mistake. Don’t forget that there is more to your monthly payments than just the mortgage - taxes, insurance, maintenance costs, and higher utility bills can almost double your monthly housing costs. 3. Figure out your down payment. While you may want to place the full 20% down to avoid paying PMI, emptying your savings to do so can put you in a bad place financially. You should always keep a balance in your savings account for surprise fixes that can be a part of homeownership. Mortgage companies now offer great programs if you can’t afford the 20% down payment. Check out HUNT Mortgage’s website for more information: HUNTmortgage.com. 5. Be prepared to move quickly. The highly competitive market means you'll have less time to dwell on whether you'd like to place an offer on a home. You will need to be decisive if you find a home you are interested and move quickly to place in an offer. Have a list of things you absolutely need and things you could live without to help weed out homes that aren't for you. 6. Are you willing to go over asking price? With the state of the market, you’ll likely end up in a scenario with multiple offers. Make sure you put forth your strongest offer and set a limit of how much (if any) you’re willing to go over the asking price. Don’t pay more than you can afford. Your agent can help you compile your best offer and will do negotiations for you. These are only a few of the tips to make sure you are financially prepared for the major investment that is your first home. Your agent can help connect you with a mortgage representative who can give you even further insight into the affordability of a home in your budget. Plan and budget carefully and you can have your dream home! 1. The home buying process takes time. TV shows make a home search appear to take a week or two, but the actual home buying experience can take much longer. The typical homebuyer in 2017 spent 10 weeks searching for their home and looked at a median of 10 homes*. 2. Get pre-approved for your mortgage. Many buyeres find themselves in a multiple offer situation, so it’s important to get your pre-approval from your mortgage lender. This says to the seller you are serious about your offer. Want to make your offer stand out even more? Check out HUNT Mortgage’s Pre-Purchase Commitment. 3. You don’t have to put 20% down. If a 20% down payment doesn't work for your budget, mortgage companies offer a variety of mortgage products that don’t require it. The best way to understand what mortgage program is best for you is to explore your options and reach out to a mortgage consultant. 4. Think about your long-term plans. Are you planning to have a family? Will your aging parents need to move in with you? Consider what your future plans are when looking at a house. Don’t just buy for your current lifestyle, or you may outgrow your home. 5. Look beyond staging. A well-staged home can sell faster. However, since staging should highlight the best features of a home, it can also mask the shortcomings. Ignore the professional set-up and take a look at the “bones” of a home. The home buying process can be a daunting one, so when you're ready to buy your first home, be sure to reach out to a real estate sales professional. Your agent will be happy to guide you through the home buying process, answer your questions, and help you get into your ideal home. Owning your own home comes with responsibilities, but it also comes with many advantages, particularly ones that are to your financial benefit. When you own your own property, it allows you to establish a permanent place of residence, which provides the opportunity to build equity, and it also allows you to lock in your monthly costs for as long as you live there. Additionally, even as changes are on the horizon for 2018, homeownership also offers many opportunities for potential tax benefits. Mortgage Interest. Mortgage interest is tax deductible on loans up to $1 million (for homes bought before Dec. 17, 2017) or $750,000 (any home bought after Dec. 17, 2017). Points paid on your mortgage can be deductible on your taxes if you purchased your home within the last year. Property Taxes. Homeowners can deduct property taxes they are paying for their home. This deduction will have a $10,000 cap in 2018, though there is no cap for 2017. Private Mortgage Insurance. If you didn’t put a 20% down payment on your home, you’re likely paying Private Mortgage Insurance, known as PMI, until you reach a 20% investment in your home. You may be able to deduct these on your 2017 taxes. Medical Improvements. If you are improving your home due to medical necessity, such as adding a ramp or elevator for access, you can deduct the cost of those improvements and the maintenance on your taxes. You will need to prove these additions are necessary for medical reasons with appropriate documentation. Home Office. Home offices are a $5-per-square-foot deduction up to 300 square feet of office space, maxing out at $1,500. Your office must be a dedicated work space. For 2018, however, you cannot apply for this deduction if you work for any length of time at an office location. Home Equity Line of Credit. Many homeowners take out Home Equity Loans or lines of credit to pay for a multitude of things, from school tuition to home improvement projects. You can deduct the interest regardless of what the loan was used for in 2017, but in 2018, you’ll only be able to deduct interest if you are using the money for home improvements. To find out more about what potential tax breaks you could qualify for, reach out to your tax professional. If you’re interested in pursuing homeownership, reach out to one of our real estate sales professionals today! VA Loans represent a multitude of benefits that our Veterans deserve as they begin the homeownership process. Unfortunately, many are not aware of them or even how to begin the process. Not only are we grateful for the guidance and advice that Rhonda McBoz provides, but for the service she provides as a Veteran herself. Thank you, Rhonda! On behalf of HUNT Real Estate, you make us proud! What Should You Know About Buying A Foreclosure? Are you ready to take on a distressed or foreclosed property? Yes, these “diamonds in the rough” can be great opportunities for the ambitious, but there are things to know in advance that will help avoid some headaches. Rachel Elliott, another one of our rising stars, has found a niche in sharing knowledge and vision as she guides her buyers through the process. We are thrilled that she took the time to share! Tips for Buyers in Today’s Limited Inventory Market! What should all buyers know in today’s limited inventory market? Find the right agent who is not only knowledgeable but who makes you feel comfortable! Check out Janice’s video interview to hear more great tips! Watching Buffalo progress fills us with excitement and appreciation for the people of this great city and the unique culture we have created. We love to explore new neighborhoods, introduce new residents to can’t-miss spots, and taste food from our inventive restaurants. Here are five different neighborhoods that continue to impress. Allentown is the perfect neighborhood for the creative types, or at least the people who like to feel creative. There is plenty of street art residents can appreciate simply by strolling through the neighborhood. With galleries, live music, and delicious restaurants, this neighborhood fulfills all your senses. First Fridays continue to be a huge success in Allentown, which many residents wouldn’t miss. “It is a coordinated open house for all galleries in Allentown and the near vicinity,” says Andrew Eisenhardt, executive director of Allentown Association. Music fans can visit attractions like Kleinhans Music Hall or Buffalo Philharmonic Orchestra to hear live music. With fun events year-round, this inclusive neighborhood is perfect for both singles and families. Elmwood Village is continuing to gain traction and recognition. Most recently, Elmwood Village was named by American Planning Association as one of the country’s great places. Whether you are one to stop at every coffee shop, candy store, or cheese spot, Elmwood has you covered in all your foodie dreams. If you have a need for sweets, you can’t miss Watson’s Sponge Candy. If you want something a little more fresh, stop at Kuni’s for some sushi that’s rolled right before your eyes. Always boasting local goodness, be sure and grab some fresh produce at the farmer’s market, occurring every Saturday morning, or make a stop at Lexington Co-Op, which is open daily. Connecticut Street is one of the newest emerging neighborhoods in Buffalo. Conveniently located near downtown and cultural attractions, this neighborhood is sure to delight anyone with its range of restaurants, shops, and events. If you are a self-diagnosed foodie, look no further. “There’s already a very impressive line-up of restaurants and food shops — including Black Sheep, Breadhive, Nickel City Cheese & Mercantile— that make it a must-stop for food lovers,” says Ed Healy, Visit Buffalo Niagara vice president of marketing. Connecticut Street strives to create a high-quality urban living area. “I wouldn’t be surprised to see this area continue to surge in the coming years,” says Ed. Where you once might have found an Italian-American neighborhood, Grant Street is now a collection of many more cultures. This neighborhood is a wonderful melting pot. For a perfect example of the cultural changes the community has gone through, take a stroll inside West Side Bazaar, an incubator space for immigrants to share and sell their goods. Whether it is a handmade dress or delicious treat; you’ll never leave this space disappointed. Hertel has had a rebirth like no other neighborhood in terms of restaurants, shops, and events. If you’re ready to be entertained in a cool space, go nowhere else than the North Park Theatre, which has been on Hertel Avenue since 1920. This theatre was just restored and after years of neglect, and is ready to shine once more. If any of these places sound like the place for you, contact one of our agents today and make one of these neighborhoods your new home. Whether you're in the process of buying or building a house, what kind of home are you most likely attracted to? First impressions are everything, and the first thing you usually notice is the outside appearance. Are you partial to vinyl, brick, wood, or stone siding? When buying or building a home, we hope you put these little details into consideration as you must keep up with maintenance that goes along with your brand new purchase. So what do you think? What kind of siding would you choose?